Abstract: Bearing life stress, you just become a car slave. That is not what you want for it deeply makes you suffocate. At present the debut of Airwheel F3 orbit electric scooter, you’ve got a chance to dominate your life. To be yourself that is a genuine voice from the bottom of the soul drives people to let the traditional concept go. Why must we push ourselves to be a car slave who pays some money to the car shop every month until it is totally paid off? 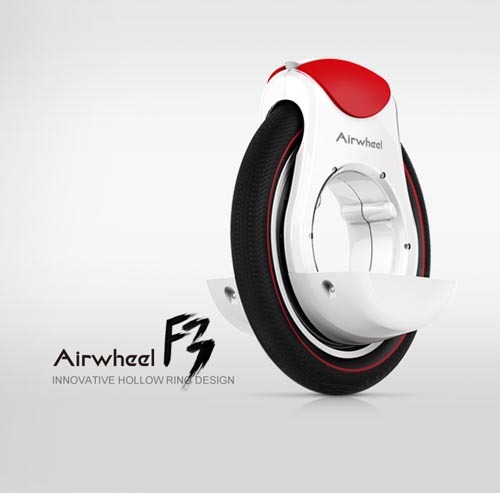 This Airwheel F3 single-wheeled scooter with hollow ring design is affordable for those friends who have just stepped into the society with heavy burden on the shoulders. Its price is far less than your monthly salary. Then there is no need to choose to be a car slave which deprives your freedom of economy. On the other hand, you must go to a training school of driver if you determine to buy a car. Obviously it's also a considerable expense. The time to learn driving well depends on you and your luck. Living under the realistic society, you must try your best to rub the coach the right way. That's the so-called latent rule. If you are not tactful about it, you have to pay more cost. That's the car's "benefit". 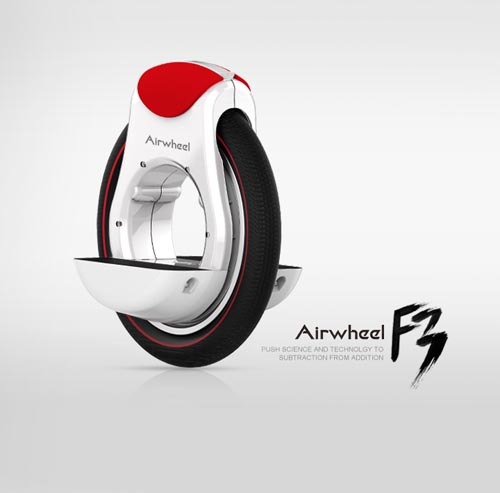 On the contrary, Airwheel F3 electric one wheel scooter with easy manipulation can be your taste. It’s really a good helper which is easy to be learned. With the intelligent balancing chip built-in, you can effortlessly to rein it. Furthermore, its anti-skidding pedal with great skid resistance can improve the operation without hidden trouble. Only holding an instruction book, you can be your own teacher. In the times of freedom, we should not be bound. Carrying F3 annular electric scooter, you start a new living style for yourselves since life is too short to grasp each wondrous moment. It’s time to break away from the car slave. Previous：Airwheel Electric Self-balancing Scooter will become the new assistance for celebrating festivals.